Insurance Day in Iran is celebrated on the 13th of Azar in the Iranian calendar, which corresponds to December 4 in the Gregorian calendar. It celebrates the importance of feeling secure as one of the fundamental human needs, and the contribution of insurance companies to making people feel secure. Insurance is a means of protection from financial loss. A person or entity who buys insurance (an insured) pays a relatively small sum to an entity which provides insurance (an insurer) in exchange for the insurer’s promise to compensate the insured in the event of a covered loss. There are different types of insurance depending on the risk or risks it covers, including auto insurance, gap insurance, health insurance, income protection insurance, casualty insurance, life insurance, property insurance, liability insurance, credit insurance, and more. The history of insurance practices dates back to the ancient world. For example, Chinese and Babylonian merchants used various methods for transferring or distributing risk to limit their losses. The present-day insurance varieties began to develop in Europe during the Age of Enlightenment. Modern insurance is believed to have developed by the late 19th century. Iranian insurance industry in its current form started to develop in the early 20th century. The first companies that began to provide insurance services on the territory of Iran were Russian. On November 6, 1935, the Minister of Finance of Iran officially established the Iran Insurance Company, a government-owned corporation providing a wide range of insurance. The country’s first certificate of insurance was issued on December 4, 1935. The anniversary of its issuance is now celebrated as Insurance Day. The Iranian insurance industry is regulated by the Central Insurance of Iran. About half of the national market share is held by the state-owned Iran Insurance Company. Other insurance companies that dominate the sector include the Alborz Insurance Company, the Asia Insurance Company, and the Dana Insurance Company. The insurance industry of Iran has much space for improvement. In 2008, the total insurance premiums generated in the country were less than 0.1% of the world’s total, although Iran has approximately 1% of the world’s population. The country’s insurance penetration rate is approximately 1.4%, which is more than 5 times lower compared to the global average of 7.5%. More than a half of all insurance premiums are generated from car insurance, while life insurance generates only 5% of insurance premiums (against the global average of 58% for life products in 2011). 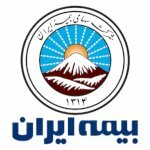 Insurance Day in Iran was created to facilitate the development of the country’s insurance market, first and foremost by encouraging product diversity and promoting insurance products among the population. It also aims to emphasize the importance of insurance companies, both state-owned and private, for the country’s economy and the welfare of its citizens. Most people working in insurance consider it their professional holiday.